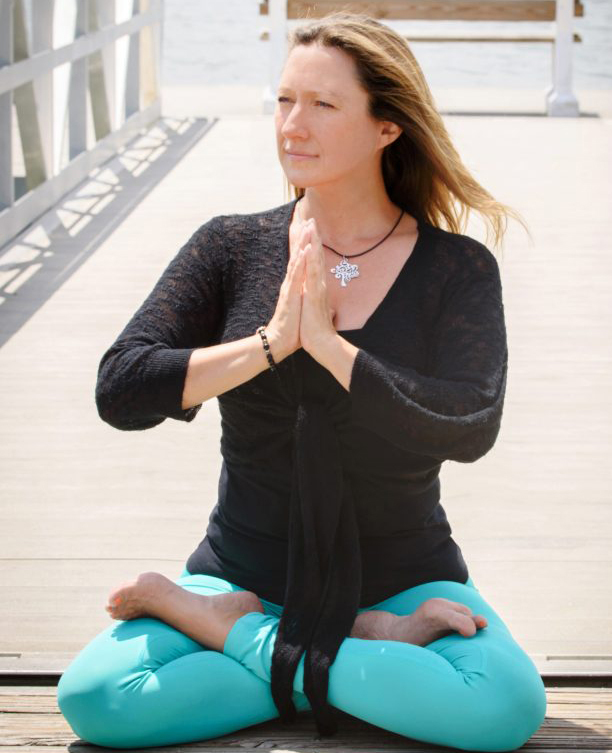 Join Michele Benton, certified yoga instructor, and Soundwalk facilitator, Lady Eve for a unique yin yoga workshop with live music for balancing the energy centers of the body. Yin Yoga is a practice that works the connective tissues of the body for greater flexibility, injury prevention and calming the mind. All poses are seated or reclined with the use of props such as yoga blocks and blankets that are held for several minutes, safely and therapeutically stretching, stimulating and strengthening. This in-depth workshop will focus on chakra alignment, using live musical accompaniment and focused sound frequencies to open these energy points. Experience the healing power of proper spinal alignment that connects our energetic body, from the base of the spine extending to the crown of the head. No yoga experience needed! $35 / ACA members $25. Limited to 40 participants. Supply list to follow. Secure your spot now! Eve Payor joined Atlantic Center for the Arts as a musician and electronic soundscape artist. Her arts advocacy focuses on the connection between music, environment, and wellness. In the Fall of 2016, she created an Arts and Wellness program of soundwalks, which gave the public opportunities to experience their natural surroundings through listening techniques, meditative breathing, and mindfulness. Eve also mentors youth to help them find their creative spark, develop professionalism, and real-world assets for careers in the arts.